A year later in 1918 he attended the École Estienne in Paris to learn the art of wood engraving, where he studied under Léon Jouenne, Robert Bonfils, Mathurin Méheut and Henri de Waroquier. Under their guidance he made great progress, such that in 1920, still only 15 years old, he had the opportunity to exhibit some of his work at the Salon des Artistes Français. This included a three colours wood engraving entitled "Portrait de mon père". Soulas would say later "I am ploughing the wood with my burin like my father used his plough to draw furrows in the soil" . According to his teacher, Mathurin Méheut, Louis-Joseph's career was established in 1923 when he contributed to the illustration of Gardien du Feu by Anatole Le Braz. This was followed with a series of wood engravings for the illustration of La Brière, a novel by Alphonse de Chateaubriant. The author's reputation was ensured by this publication as it won the Grand Prix de l'Académie Française. In 1925 Soulas, along with Pierre Guillemat, carried out a series of wood cuttings for La Chanson du Cidre based upon drawings by Garin. The same year, he illustrated Jacquou le Croquant by Eugène Le Roy from his own drawings. 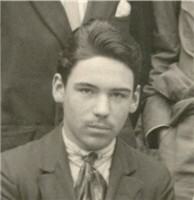 During his military service in 1925, he met André Jacquemin, who was to become one of his closest friends. Jacquemin was practicing his etching, working with copper, and introduced Louis-Joseph to this new techinique. Soulas was initially put off by all the preliminary steps required to perform etching - varnish, black carbon, nitric acid &#8211; but decided to tackle copper with a burin, as he had for engraving wood. This was an important decision and determined the future direction of his career. The difficulty of the burin technique both concerns the direction of the engraved line, and its depth. Of course both alter according to the effect desired at the time of printing, an effect of which the artist has to still be the master. Soulas used to say, "You must hold the burin the same way you would lead a bride into the church. It's a gesture of tenderness and emotion that goes through your heart" . Over the years, Louis-Joseph Soulas became one of the best copper engravers of his time.